Emerging media is often viewed through the lens of its benefits to marketers and consumers. And while the benefits seemingly outweigh the disadvantages, there are increasing privacy concerns – especially when it comes to children. 89 percent of children aged six to nine years old are now active online, and many of these children are now accessing the internet through mobile devices. Among families with children age 8 and under, there has been a five-fold increase in ownership of tablet devices such as iPads, from 8% of all families in 2011 to 40% in 2013. Moreover, 75% of children have access to some sort of “smart” device. As a result, product developers and marketers are increasingly using forms of emerging media to connect with our kids. As adults, we need to be aware of the privacy risks that exist for our children. 92 percent of children under age 2 already have a digital footprint, and half of kids ages 6 to 9 regularly use social networks. Social networks survive on user-generated content, and many of these online platforms rely on personal data to support their business models. By entering information online or by participating in social networks, kids are essentially allowing marketers and advertisers access to their consumption patterns and preferences. This can lead to behavior targeting. Marketers can map our kids’ online behavior to gauge their interests and preferences, and to create a more dynamic user-centric experience. But is this a good thing? Luckily, the Children’s Online Privacy Protection Act was designed to help protect online privacy for sites targeting children under the age of 13. COPPA is helpful, but there is still a gray area as to what content is geared toward kids under 13. Beyond web sites and social networks, apps also pose a significant risk to our children’s privacy. Tracking data collected by apps gives marketers a fairly accurate account of children’s mobile behavior. Consumers, including adults, are not always aware that their data is being farmed for marketers. Of the top 200 free iOS and Android apps, 95 percent exhibited at least one risky behavior. Among other things, these behaviors include location tracking, accessing the user’s address book and sharing information with ad networks and analytics companies. Children cannot control access to their information online when they use these apps, nor do they have an understanding of the possible implications of marketers’ access to this information. 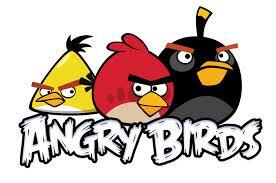 For example, Angry Birds is one of the most popular apps of all time. The game stores the user’s location in order to accurately target advertisements. Additionally, apps that claim to be geared toward users over the age of 13 are exempt from COPPA regulations. It’s much like television consumption. My nine-year-old loves several shows that are geared toward older kids. Some come with a TV 14 rating. But just because the rating exists doesn’t mean the consumption doesn’t happen. The same is true online. The bottom line is that parents need to do a more complete job of monitoring the content our children are exposed to online. There are several steps parents can take to block apps and disable in-app purchases, but there’s no substitute for being aware of our kids’ online activity. What do you think? 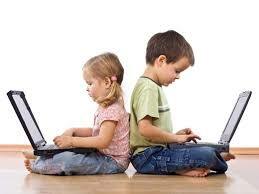 Are there both pros and cons to disclosing kids’ information online?